When it comes to heating your building efficiently and wasting as little fuel and heat as possible, then a full set of heating controls are just as important as choosing the right type of boiler. 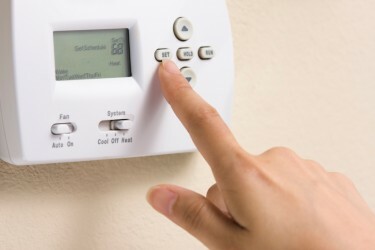 Using the right type of controls could see you saving a good percentage of money from your heating bill and improving your comfort level. Once you have decided on controls and had them installed, it is important to ensure that they are used correctly. Controls can range from simple thermostatic radiator valves to a full energy management system which can be linked to to computers and laptops for easy and remote control. A compensator (this device measures the outside temperature normally on the north facing wall and adjusts the heating temperature accordingly, ie. If it was -1°C outside, we would be looking at a temperature of 82°C flow through the radiators, if it was 10°C outside we would be looking at a temperature of 50°C flow, if it was 20°C outside we would be looking at a flow temperature of 20°C ie., no heat input into the building. These settings are variable and adjusted to suit the building’s own heat loss requiremments and boiler plant, be it conventional or condensing. An optimiser: in basic terms this is a clever time clock, which automatically adjusts the on/off times to guarantee that the building reaches temperature at the desired time of occupancy. For further detail please see case study below. Case Study: Primary School, Surrey. A school with a basic boiler plant and controls: the control consisted of a Sangamo time clock. The clock was set to turn the heating on at 6am to guarantee the building would reach temperature by 9am, stay on until 4pm, whereby it would disable the heating. This is perfectly acceptable in extreme weather conditions, however, in milder conditions, it is not necessary for the heating to be turned on that early and/or turned off that late in the afternoon. The optimiser is a self learning microprocessor, coupled together with inside and outside sensors. 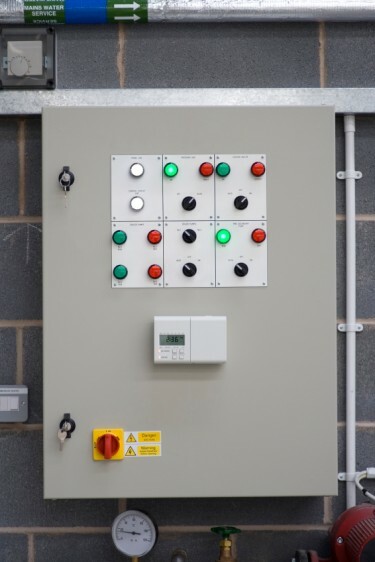 Boiler sequencing Controls: where you have a larger commercial plant, consisting of more than one module or boiler, we like to incorporate a boiler sequence control, this device generally monitors the flow temperature and adjusts the boiler firing sequence. In mild weather or where there is low demand one or more boilers would be disabled from use, as the load increases more boilers come into operation maintaining the reuired flow temperature. Thus then prevents short cycling of the boilers and allows the boilers to maintain a good operating efficiency and longevity of life. It can also be configured to changeover the sequencing of the boilers after a pre-set run time.